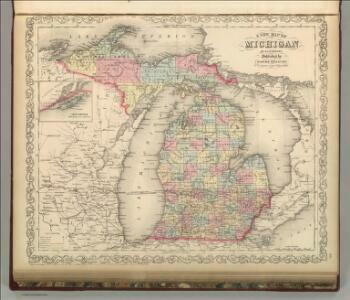 Maps showing the senatorial and representatives districts of Michigan. 1 : 3200000 Walling, H. F.
Maps showing the congressional districts and judicial circuits of Michigan. 1 : 1350000 Walling, H. F.
1 : 3300000 Lange, Henry, 1821-1893. 1 : 1964160 Lea, I.